"When I'm 18, I'll be there at every single election." Featuring: Jianan Zhang - Director: Alexandra Vivas - Producer: Yesenia Hernandez - Michael Valverde: Camera A - Max Aponte: Camera B - Elio Diaz: Art Director - Editor: Scott Wellington - Audio: Emmanuel Martinez - Color: Natacha Ikoli - Artur Beyer: Sound Mix - Score: Henrique Eisenmann - Captions: Aicha Cherif. 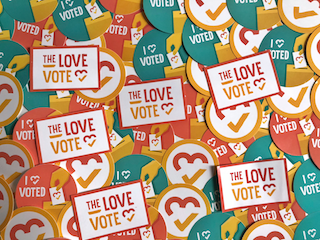 Show Jianan love + inspire others + get voting info + get event invites + get stickers + create change!